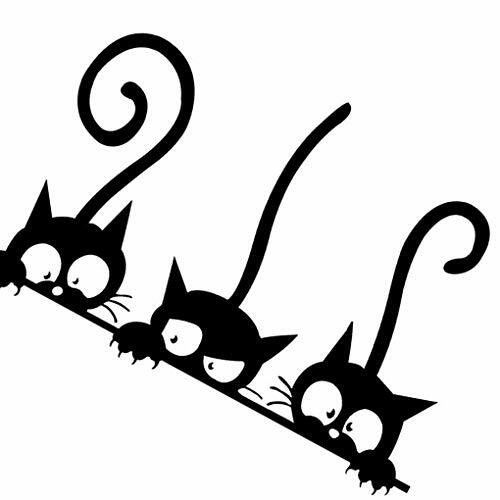 Super easy to use,just peel off the back and stick this cartoon cat wall decals at anywhere. You can use this cartoon cat wall stickers at any smooth surface,wall,wooden door,wooden desk,and it won't harm the surface when you peel it off. You can put this cute wall decals at your livingroom,bedroom,bathroom,to add some cuteness in your house. This wall sticker is made of PVC material,is totally safe to use on your kid's bedroom without concern about it will contaminate the air. Easy to use and easy to relocate,this is a cute wall sticker,a ideal gift to give to your frieneds,family. If you have any questions about this product by Boger, contact us by completing and submitting the form below. If you are looking for a specif part number, please include it with your message.